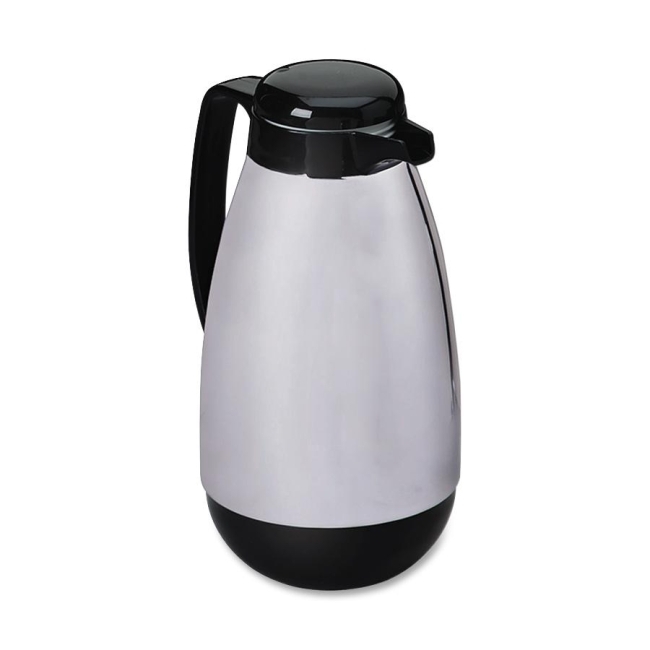 Insulated carafe features a glass vacuum-insulated liner that keeps hot drinks hot and cold drinks cold for up more than six hours. Glass is designed to withstand temperature extremes. 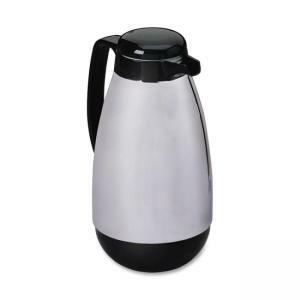 Design includes chrome body with black ABS plastic parts and pour-through stopper so you can pour without removing stopper. Carafe holds up to 33.8 oz. Do not use with ice.